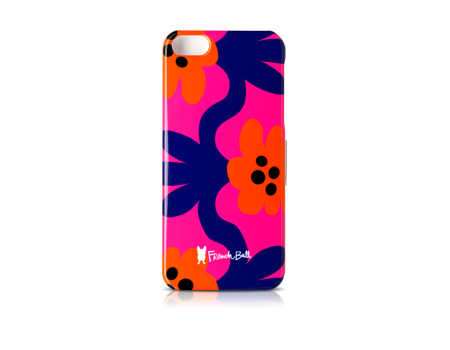 The French Bull case protects and vividly colors your phone in modern style. Founded by iconoclastic designer and pop culture enthusiast Jackie Shapiro, French Bull® re-imagines the ordinary with an unconventional twist. French Bull magnifies, electrifies, splices, and spins the classic 19th-century Suzani pattern for the new millennium. The slim-molded polycarbonate shell of the Bounce iPhone 5 case vividly protects your phone from scratches and blemishes, and provides access to every port and feature.